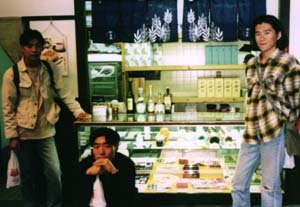 We will here introduce you to "Gekkeikan Okura Memorial Museum" and Japanese sake which are sold there. "Gekkeikan Okura Memorial Museum" is a museum for liquor which is situated in central Fushimi. 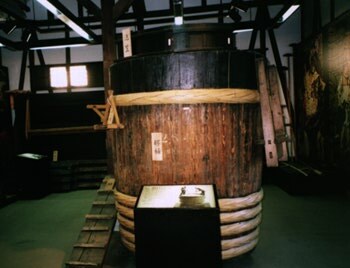 There are many displays connected with sake, for example, very big barrels, "happi" which ancient brewers wore, tools used for brewing sake by them and so on. These displays tell us the way of brewing sake which has been succeeded to for 350 years. You can enjoy testing taste of sake at a stand. 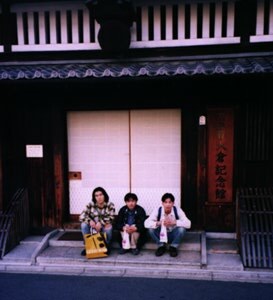 A man who is there is very affable and familiar with sake, so you will have a good time if you talk to him. The mineral water which are gushed from the garden are very delicious, so why don't you drink them? This water will let you realize that delicious sake is made from delicious water. People who enter this museum will receive a small bottle of sake as a souvenir. Because of this, you will feel happy after finishing inspection.